Lebanon: His Holiness Patriarch Mor Ignatius Aphrem II receives their Eminences Mor Gregorius Joseph, Metropolitan of Cochin and Mor Aphrem Matthews, Assistant Metropolitan of Angamali, in the presence of His Eminence Mor Justinus Boulos Safar, Patriarchal Vicar in Zahleh and Beqaa, at the Patriarchal Residence in Atchaneh, Lebanon. His Holiness discussed with their Eminences matters concerning our Church in India. 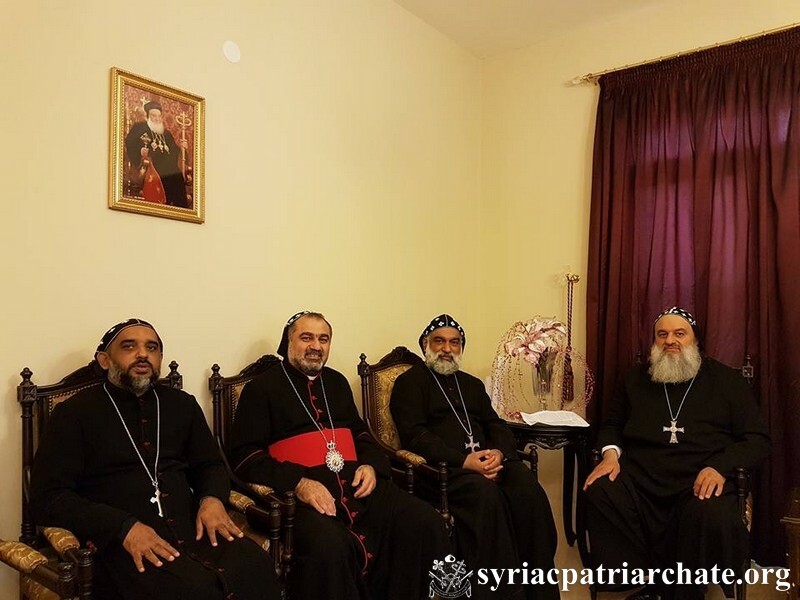 This entry was posted in News and tagged His Holiness, Lebanon, Patriarchal Residence, Patriarchal Vicar, Syriac Orthodox Church by Orthodoxy Cognate PAGE. Bookmark the permalink.